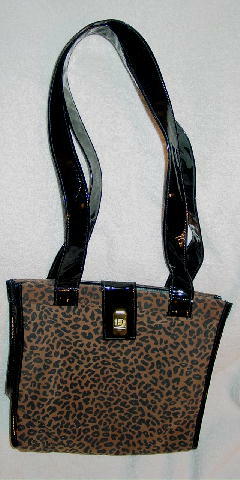 This brown and black animal print purse is 63% rayon and 37% cotton. It has black faux patent leather (plastic) 29" long handles, side edging, and tab closure. There is a black plastic lining and an interior zipper pocket.